A fun "Young Lions vs. Grumpy Old Men" match. Suzuki-Gun jumped the bell on their opponents and we immediately spill to the outside for the usual bullsh*t. Thankfully they at least had the referee be distracted for the chairshots this time. The heat was also much shorter than usual because they got four or five fewer minutes than usual, which was at least some relief. But even with this match being shorter and clearly setting up Suzuki-Gun for a shot at the NEVER Openweight Six-man Tag Team Titles, I still can't consider Gedo's booking anything but a failure, and after this tour I have absolutely no desire to see any member of Suzuki-Gun (but especially these three) anywhere near Togi Makabe (five out of his last six matches) or Toru Yano (seven matches out of twelve on this tour, including four straight to start it off and three out of four to close it out). Ishii is having none of Taguchi's nonsense. This was a GREAT match. I want to see Narita vs. Shingo in a singles match. I don't think that's going to happen, though, so I'll have to settle for Ibushi vs. Naito and Ishii vs. EVIL. Oh well. Suzuki-Gun jumped the bell on their opponents. The match was very good aside from the "Suzuki-Gun can't get DQed no matter they do" trope rearing its ugly head. We got a good heel finish and a good post-match beat-down to follow it up. We almost immediately wind up on the outside for the usual bullsh*t, culminating in the Count-Out Tease That No One Ever Buys(TM). More stuff happened. Jay White eventually pinned Goto. Owens jumps the bell on Juice as soon as he slides into the ring. He worked over Juice's back for a while until Juice made his comeback, during which they were on the outside FOREVER without getting counted out. Once they got back into the ring they followed something of a story working on each other's backs, but it lacked any sort of dramatic ebb and flow. It just felt like guys being on offense for a predetermined amount of time. Then the overbooking bullsh*t started and this went all to hell. The overbooking on its own was way too much. There was not enough backstory here to justify Juice overcoming several ref bumps, interference by two guys, a low blow, and the ref being distracted when he made Chase tap out. Several layers of interference can add to a match if the proper build is there, but this was just guys interfering because it's a Bullet Club match (and, if I may be so frank, because Gedo didn't trust Chase Owens to deliver in this spot on his own). What really put this over the top in its terrible-ness, though, was the execution on the overbooking. They were just so slow and their movements were so goofy and jerky that it began to look less like a professional wrestling match and more like a ballet about a professional wrestling match. It was just plain painful to watch. I was also a little disappointed at the result, as I think the best thing to do here would have been to give Chase Owens the belt, clean. At this point if they're not willing to elevate the guy then why are they keeping him around? Giving him a clean win here would show that you're at least trying to get behind him a little bit, and would do so at a time when Juice has nothing going on in ROH that they would want him protected for. Getting the belt off of Juice would also free his booking up in ROH to be used in a way where he doesn't have to be protected so that his matches won't all be meaningless tag team matches or matches where it feels like he has no chance of losing. This was a twenty-five-minute match stretched out to thirty-three. 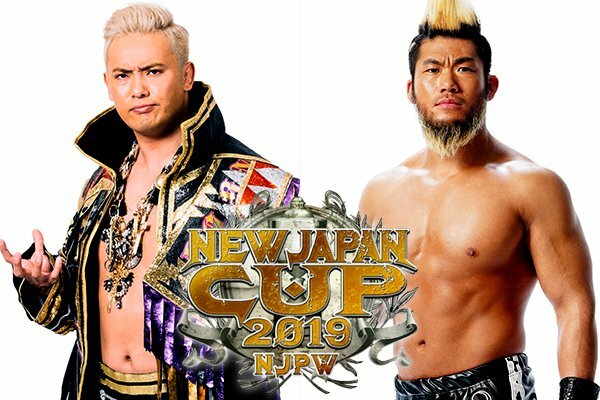 It was your usual great storytelling with Sanada trying to win with Skull End and Okada trying to win with the Rainmaker and all of the various ins and outs of those moves being countered or the things being done to set those moves up. That said, there were certain points where this match just ground to a total halt as it felt like they were trying to eat up time. The most egregious was when they went to the outside just to set up the Count-Out Tease That No One Ever Buys(TM), with nothing that happened on the outside feeling in any way relevant after that point. An absolutely awesome match, but it could have been even better if they had cut some of it out. On a personal note, I greatly enjoyed seeing Sanada let go of the Skull End to go for a pinfall and eventually get punished for his stupidity. Hopefully losing in this manner in this big spot will teach Sanada not to do that again. POST-MATCH SEGMENT - Fine, I guess. This was your seemingly obligatory "we must have a face to face confrontation for the go-home segment" segment. The promos were fine, but when you do this sort of thing all the time, it starts to feel very paint-by-numbers unless something big happens or someone cuts a truly outstanding promo. It served its purpose, but it didn't wow in any artistic sense. The important bit seemed to be White reminding us all that Okada has never beaten him. A pretty good show from New Japan. The undercard was the usual meh, but at least tonight it felt like it had a real purpose. Unfortunately the US Title match horrendously under-delivered, but the main event was the expected slam dunk, and higher than usual undercard showing in the LIJ match helped to make up for it a bit. With G1 Supercard being so ROH-heavy, I hope that NJPW will still try to run a big show in mid-April rather than stretching all of this out over an interminably-long Dontaku tour like we got last year, forcing us to sit through the same "three quarters of this show is redundant, meaningless undercard matches that we've already seen five times this tour" deck that made this tour so hard to watch.